Room 20 @Sunnyhills: The Sunnyhills Star News! The Weather! 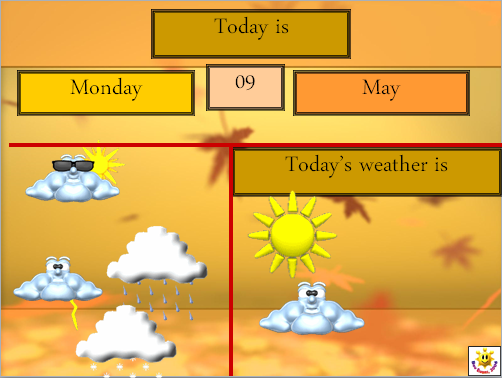 Today we had Weather Reports using our Interactive Whiteboard. Chloe T and Chloe C and Krish wrote the day, date and year on the laptop and then a few people had a first go at choosing the weather on the slide show. Olivia and Jacob dressed up a bit to get into 'character'! Do you agree with Weather Reporters today? Did they get it right? Room 20 see if you can find out what the weather report will be for Tuesday and share it with us tomorrow. When we have had time to practice what to say and what to include in our Weather Reports we will record them for you. Watch out TVNZ! !